Time is constant, but it rarely seems to be on our side. That’s particularly the case for a lot of bands, who are under pressure to maintain standards as their careers progress and, from certain quarters, to keep doing the same thing in perpetuity. Maxïmo Park’s ‘As Long As We Keep Moving’ is an attempt to reckon with that. A live album and film recorded at Vada Studios, a 13th century chapel turned recording facility close to the border between Worcestershire and Warwickshire, the project doubles as a monument to this iteration of the group and a parting shot from Lukas Wooller, who is leaving after almost two decades behind the keyboard. 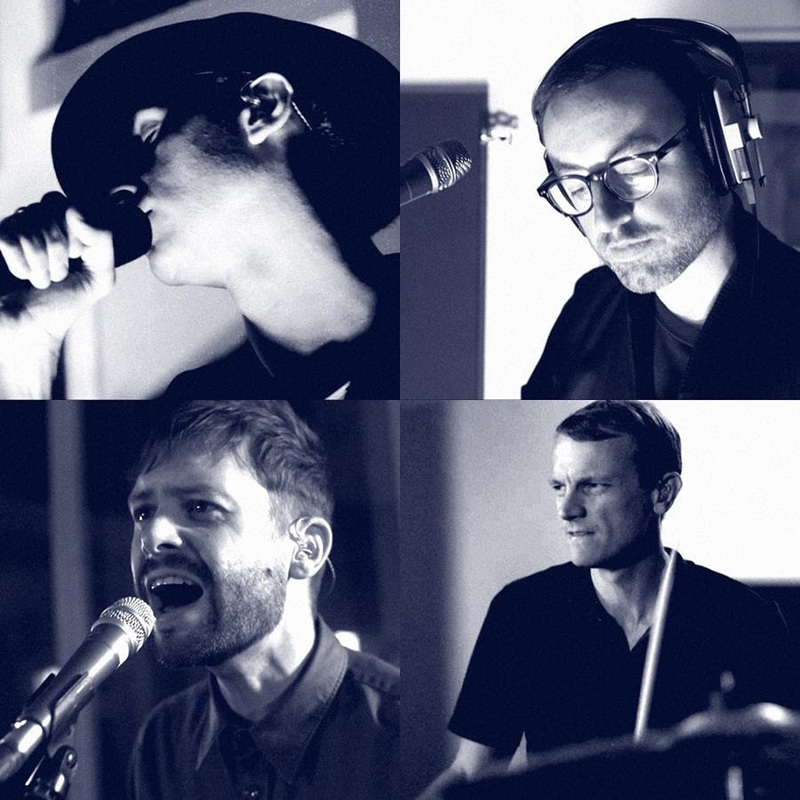 This version of Maxïmo Park has been in place since bassist Paul Rafferty took over live duties from Archis Tiku in 2012, while it’s now almost 14 years since the arrival of the group’s Mercury-nominated debut ‘A Certain Trigger’. The tracklist on ‘As Long As We Keep Moving’ attempts to reflect the shifting sands of the band’s discography, conjuring the post-punk grit of their early work alongside some of the synth-pop flourishes that have been stitched throughout later releases. There is a curious edge to ‘As Long As We Keep Moving’ stemming from its circumstances as a live album tracked entirely in-studio. 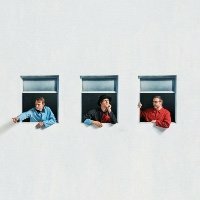 Smith sees it as both an insight into their normal recording process and an attempt to recreate the temperamental atmosphere of playing a show. Aside from one conspicuously out of tune bass on an otherwise perfect rendition, overdubs have been eschewed in favour of the unblemished truth. “We tried to use the first take wherever possible,” Smith says. “There are a few moments on there where I’m a little bit out of tune, or there’s a note that’s not as it would be on a record, and I think that’s important. When you’re playing live you realise that things go wrong, there are nerves at play, you might be outside at a festival and the sound might be weird, there are all sorts of different variables. The visual counterpart, directed by filmmaker Mark James, is a borderline psychedelic piece that utilises the band’s proximity to one another, facing across the room in a circle, and natural light streaming through archways to create a type of latticing effect. Without an audience in place it was up to them to generate the desired energy while tethered to monitors and headphones, and hemmed in by the tight confines of the room. Smith isn’t particularly concerned with questions of legacy at this stage, but they are naturally raised by a release like this. Maxïmo Park are an interesting case study in this sense: a band who broke through at the height of landfill indie but had enough class and creative guile to outgrow the scene they were lumped into. They will soon bring up 20 years in the game, but the impetus behind ‘As Long As We Keep Moving’ appears to be the ongoing desire to wave goodbye to one period of their tenure in order to start on the next. “The music is primarily emotionally driven,” Smith says. “You don’t want to be too bothered about how you look or how you’re perceived, because it will intrude on that other thing you want to have. The band’s really important to me, and it’s been a massive part of my life for 15 years or so. But it’s just music. Music is really important to me, so I wouldn’t necessarily say that, but there are bigger things in the world. ‘As Long As We Keep Moving’ is out on March 1 through Cooking Vinyl. Maximo Park will play a one-off Scottish show this spring. Maxïmo Park have announced a one off show in Leeds. Maximo Park Post Video For What Equals Love? Maximo Park have posted a video for their new single, What Equals Love?.